Bubu, the kitty, now lives in another home. 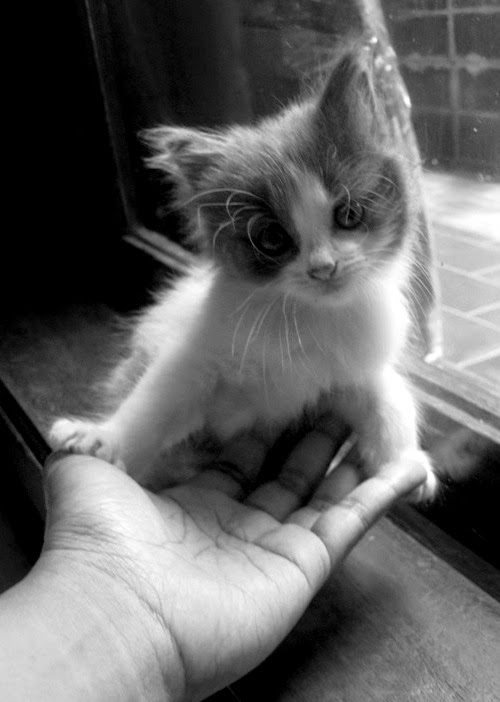 Nice picture, a wonderful kitten and bright B & W! What a sweet picture. Beautiful lighting too. Such a sweet, tiny, fluffy thing! Lovely photo. Oh Lina, what a sweetheart. I remember when our kitty Chaya was tiny like that. Beautiful photo. So cute little kitty! Wonderful photo in B&W! I wonder what makes kitties soooo, toooo cute? They always melt your heart.